I was the oldest child in our family so I was always helping my mom watching the kids, playing with the kids and doing activities with them. It's something from little on that I've always liked to do. It's basically providing a safe, nurturing environment for the children. 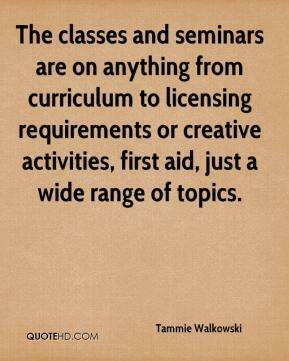 The classes and seminars are on anything from curriculum to licensing requirements or creative activities, first aid, just a wide range of topics. 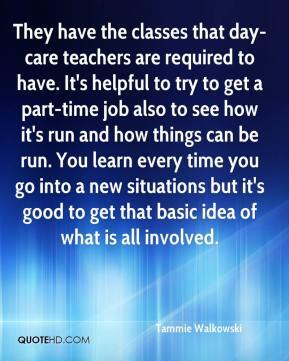 They have the classes that day-care teachers are required to have. It's helpful to try to get a part-time job also to see how it's run and how things can be run. You learn every time you go into a new situations but it's good to get that basic idea of what is all involved. This can be a very challenging job but seeing the smiles on the children's faces and knowing that we're providing them a safe and nurturing environment makes it very rewarding. 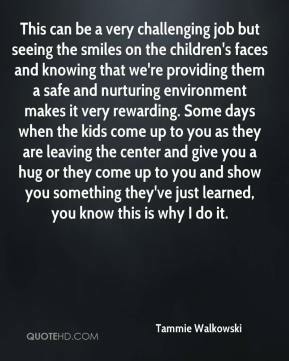 Some days when the kids come up to you as they are leaving the center and give you a hug or they come up to you and show you something they've just learned, you know this is why I do it.